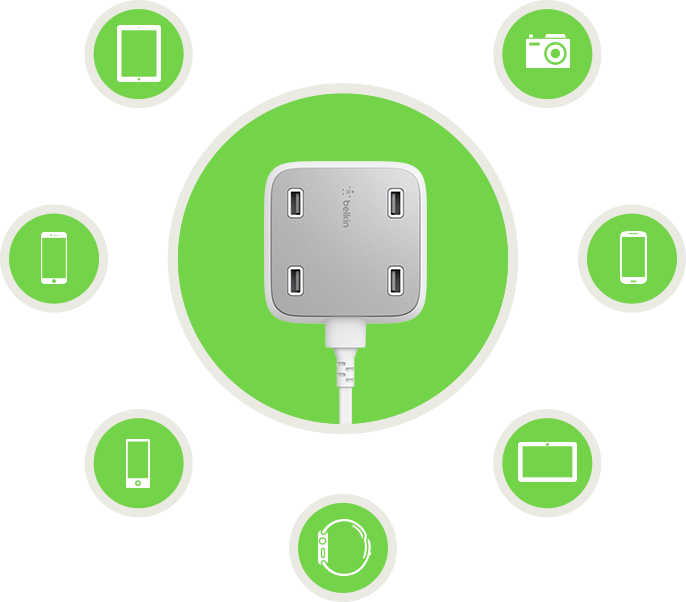 The multi-talented Family RockStar™ provides an enormous 5.4 Amp total charging power across four USB ports. That's enough power to charge two tablets and two smartphones, all at the same time. 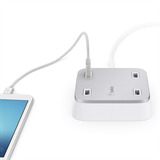 Any port can charge any device thanks to an intelligent smartchip, which recognizes the connected device automatically. 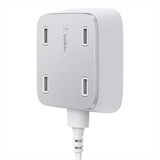 For tablets that means optimal charging at 2.4 Amps. 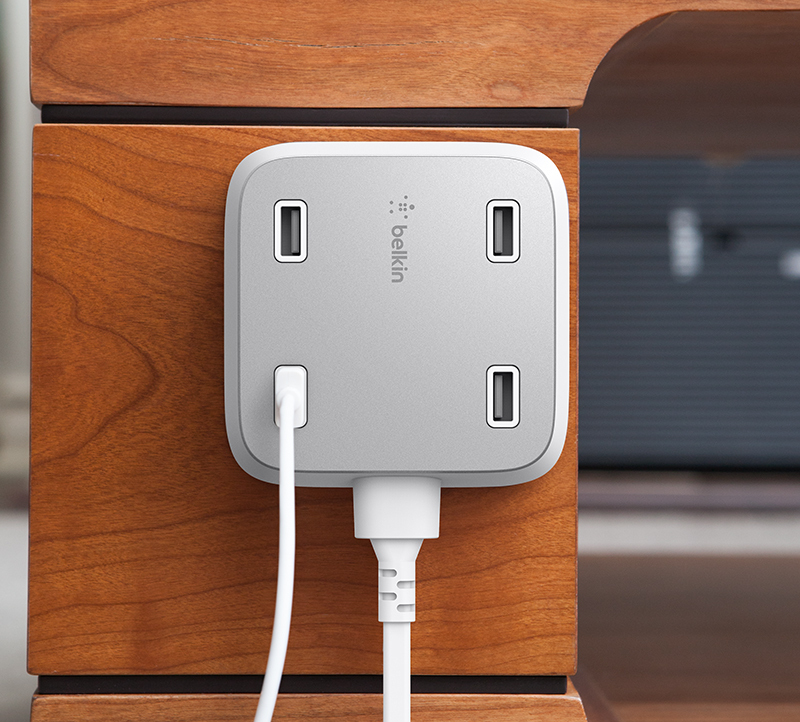 Wall-mountable and boasting a ten foot cable for convenient placement, this charging hero will make power struggles at home a thing of the past. Dynamic charging marks a new approach to allocating power ensuring connected devices receive their optimal charge. It allows the RockStar to deliver a real power boost, while only ever delivering the exact charge required. If a power device ever deserved to be called turbo, this would be it. The intelligent chipset automatically detects the connected device, to deliver the maximum power appropriate. With up to 2.4 Amps up for grabs from a single port, that means optimal charging for tablets. The smartchip also handles power management, dividing the total 5.4Amp power between the ports as needed, so it doesn't matter which port you use for which device. Wall-mountable and boasting a ten foot cable for the most convenient placement, the elegantly designed Family RockStar is sure to complement any room in your home. 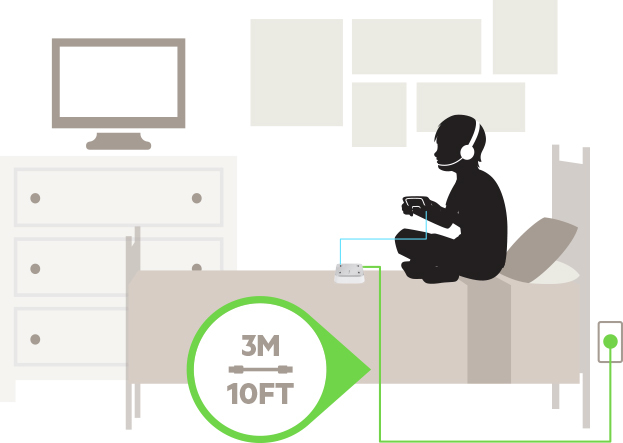 Boasting a ten foot cable, you can conveniently reach most locations in your home or office. 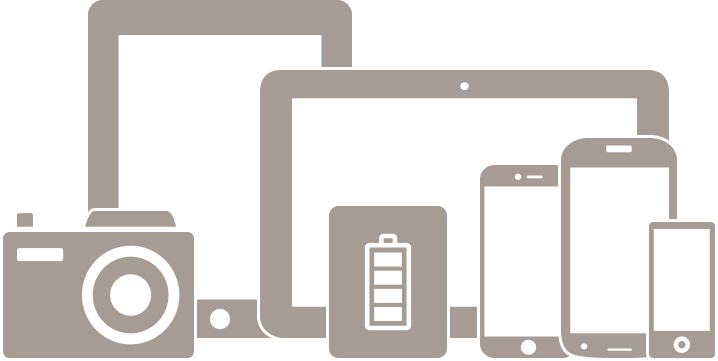 Placed neatly a a workstation during your meeting allows for charging of up to 4 smart devices simultaneity. However, long the meeting last, your device will stay charged. 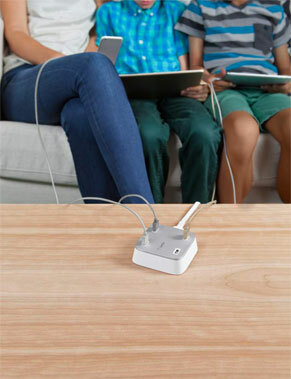 With a modern design that fits any living room, Family RockStar allows you to charge up to 4 devices (2 smartphones and 2 tablets) at the same time, so you get more quality time with the family and friends. Take Family RockStar along on your trip- charge up to 4 devices such as a smartphone, tablet, power pack and camera all at the same time. Theyâ€™ll be ready to go when you are. 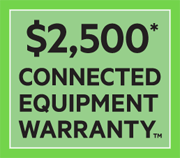 Product is covered by a $2500 Connected Equipment Warranty. 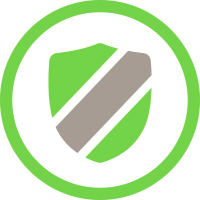 This means we will repair or replace any equipment damaged by a surge, spike, or lightning strike while properly connected to our surge protector, up to $2500.